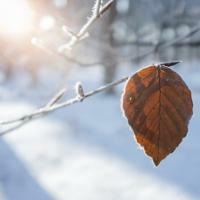 Will Solar Panels Work in the Winter? Will solar panels still work in the winter months and on cloudy overcast days? It’s probably the most frequently asked question for would-be adopters of solar energy. While production of energy will vary, depending on cloud density, solar panels are designed to generate energy in all weather conditions. Solar panels not being able to produce energy in the winter and during cloudy weather is undoubtedly one of the biggest misconceptions about rooftop solar panels going. Solar panels work on light, not heat, you see. And more specifically daylight, not sunlight. While it is certainly true that optimum electrical production will occur with bright sunny weather, there’s still more than enough daylight to make solar panels a viable option for UK energy consumers, even on a typically British cloudy grey day. On average in the UK we have around 48% of overcast days per year but solar panels still work on cloudy days. Of course, in the winter the sun rises later and sets earlier, so the mornings are dark and the nights drawn in. With shorter daylight hours it does mean generation levels are lower; solar panels will produce less energy compared to what they would during the summer months, where daylight hours are longer. Output on a day with light cloud cover can be reduced by as much as half, even down to as little as 10% on a really overcast day. But the energy generated will still be enough to meet the average consumer’s requirements. Read more about the myths surrounding solar energy. More than half a million UK homes have solar panels. At the time of writing there are around 510,000 domestic sized systems and rising. But not all rooftops are prime real estate for solar power. The amount of sunlight hitting your solar panels will be determined by the direction your roof faces. The closer to south it faces the better; so panels installed on roofs facing south, south west and south east will perform better. A near-perfect roof would be large, facing south and pitched at an angle of between 30-45 degrees, with a clear space up to 24 square metres with no shading from other buildings or trees. If you know the direction your roof faces, and the amount of available roof space, use our solar calculator to estimate the return on investment from solar panels. You can also use the solar calculator to calculate by system size (kWp) and by price. Estimate your annual income and overall payback and then compare quotes from solar installers. How Much can a Solar PV System Produce? Solar panels are particularly popular in the south of the country. Domestic solar PV systems range in size from 1kW to 5kW, although a typical domestic solar PV system is around 3.5kW with 12 panels. Every 1kW system can produce around 850kW units per year. According to the Energy Saving Trust, over the course of a year a typical 3 bed house uses a little over 3,000 kW units. A 2kW system working at peak efficiency should be capable of generating up to 1,700kW units a year, while a larger 4kW system will provide as much as 3,400kWh of solar energy. 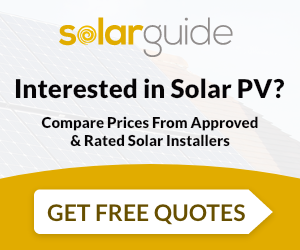 To determine if your roof is suitable and what size system would best fit your requirements, you must get advice from a professional solar installer. They will be able to advise you about the cost to install solar panels and the potential ROI. We only work with MCS accredited solar companies who will provide you with up to three quotes for free and with no obligation. If you can say yes to the following then solar energy could well be right for you. Does Solar Thermal Work in Winter?